Shiva Gallery | The Brownsville Boys: Jewish Gangsters of Murder, Inc. The Brownsville Boys: Jewish Gangsters of Murder, Inc. 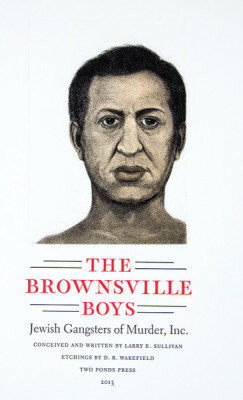 THE TWO PONDS PRESS is pleased to announce the release of their latest edition, “THE BROWNSVILLE BOYS: THE JEWISH GANGSTERS OF MURDER, INC.”. Twenty biographies were written by Larry E. Sullivan, Ph.D., Associate Dean and Chief Librarian at John Jay College of Criminal Justice, New York City. 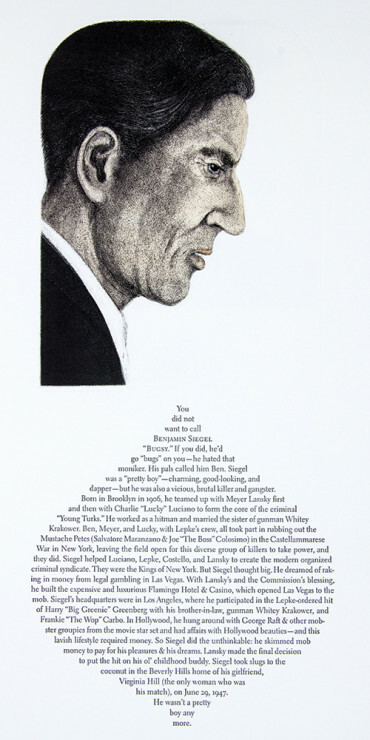 The portrait etchings were achieved and printed in color by D.R. Wakefield. The typography and title lettering were conceived by Russell Maret. The Electra type was designed by W. A. Dwiggins and the presswork was executed by Art Larson at Horton Tank Graphics. It is all housed in a chemise and box created by Claudia Cohen. The book measures 18” x 13” and the edition consists of sixty copies, of which fifty are for sale. What began over twenty years ago as an idea by Larry Sullivan and Leonard Baskin, has finally been realized by the Two Ponds Press in the new edition of “The Brownsville Boys”. Combining the noir writing of Dr. Sullivan with the talents of the English color etching artist, D.R. Wakefield, and the shaped typography of the printer & letter designer, Russell Maret, has resulted in this colorful piece of organized crime history among an immigrant group not usually known for this type of brutal activity. 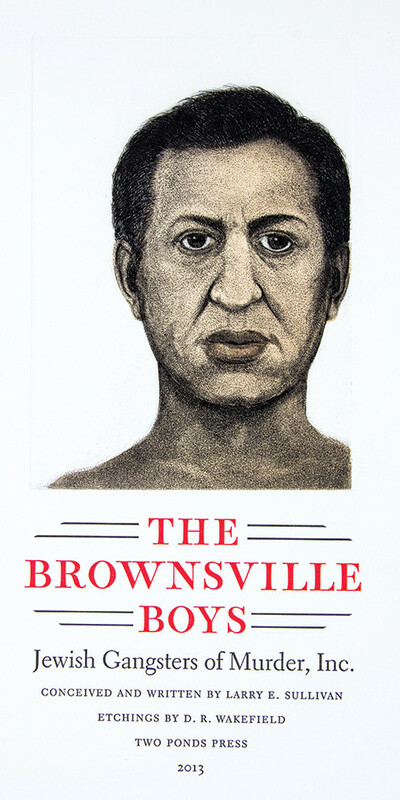 In recognition of this outstanding publication, The President’s Gallery at John Jay College is exhibiting “THE BROWNSVILLE BOYS: THE JEWISH GANGSTERS OF MURDER, INC.” in its entirety. 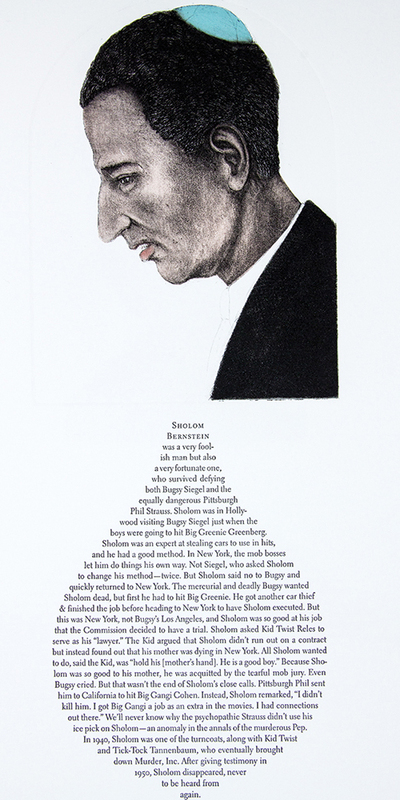 Comprised of twenty-three separate biographies and illustrations of Jewish mobsters, this exhibition presents the complete folio as framed individual sheets.